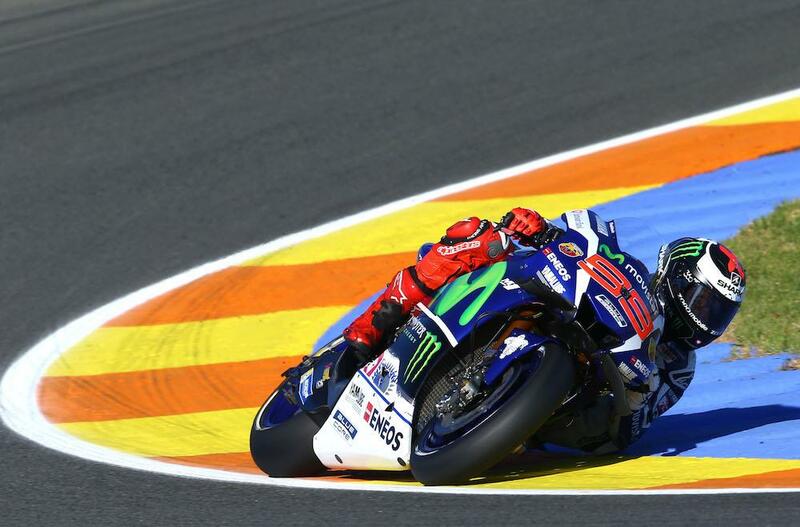 Jorge Lorenzo continued his dominance of the opening day at Valencia to top the afternoon’s second practice session from Marc Marquez and Maverick Vinales. 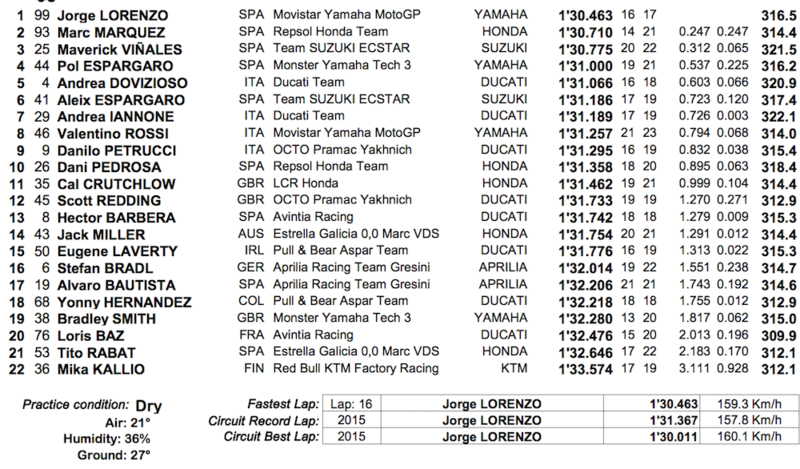 Lorenzo’s time of 1’30.463, almost a second inside the race lap record, put him ahead of his Repsol Honda rival but Marquez closed the gap to just 0.247. Maverick Vinales was third quickest ahead of the leading Ducati of Andrea Dovizioso with Aleix Espargaro rounding out the top six. Andrea Iannone was seventh ahead of Valentino Rossi, who again suffered with a brief technical problem as the session got underway. Danilo Petrucci was ninth quickest ahead of the injured Dani Pedrosa and Cal Crutchlow, while Hector Barbera, Jack Miller and Eugene Laverty rounded out the top fifteen.